Home - Move or improve? It is always a difficult decision to make, should you stay, remodel and expand your home or should you move to a bigger property? With many options to be taken into account it is always a good idea to take the time to consider your reasons for making a change. Moving is considered to be one of the most stressful things that you will do in your life after getting a divorce or the death of a loved one. By the time you have moved, you may find yourself wondering if it was all worthwhile; could you not have made changes to your existing home and saved yourself a lot of hassle? So why not take your time to make that decision? First of all decide why you want to move, is it to have an extra room to relax in or a room for a relative to stay in, for example? The decision you make will of course depend on your individual or family circumstances. If you would like to stay where you are, take a look at your home, and see if by adding a conservatory or carrying out a garage conversion you will be able to add the space you need to your home. Perhaps by removing an interior wall or by changing the use of a room it will give your home a better flow or give you better access to your garden. Sometimes we may find it easier to move rather than build onto our existing homes, if restricted by the available building space or planning restrictions for example. Unfortunately, we may have just outgrown our home, or our needs may have changed (e.g. downsizing or needing to live in a bungalow as stairs become more difficult with old age) and we may need different facilities around our home such as schools. 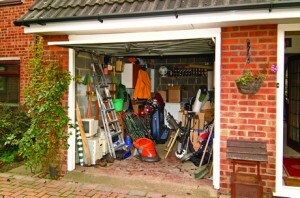 Could your garage be a new living room just waiting to happen? 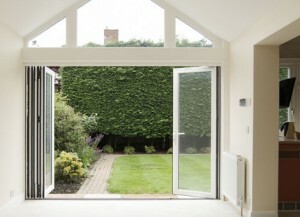 Could you remove a window and replace with bi-fold or patio doors change the way you use your current living space? – What you want to use your rooms for, will they be multi-functional? – How long you will live in your home before it is either too small for a growing or too large for a diminishing family. – The current housing market, buoyancy, range of choice, will house prices continue to rise/fall in your area? 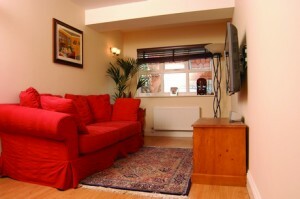 – Whether the facilities around a new property will be suitable for your needs? – Make sure that what ever you do is financially viable and you do not overstretch yourself. When looking for help and advice on-line there are many experts with logical advice as to why you should and should not move, but at the end of the day there is only one person that can make that choice and that is you. If after considering all the above you still can’t make up your mind, try this little quiz we found. We hope this will help you to make the right choice for your family’s needs.